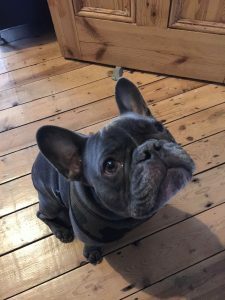 Looking for dog boarding kennels in London? Happywoof are the outstanding alternative to dog kennels. We have no kennels, no cages and no outside living arrangements. We provide a happy home environment for your dog and they are looked after by caring professionals. We offer dog boarding for most areas in London. Offering a home from home for your doggy with the highest standards of care at all times. Your dog has a garden to play in when it wants, and a nice cosy and comfortable home to stay in. There is Gladstone Park opposite our house where they can enjoy the fresh air and meet new friends and get plenty of exercise. Simply put we are an even better solution for your loved pet than dog kennels. So there are no dog kennels for your doggy just a great home for them to enjoy themselves! We give lots of love and attention and ensure we limit the number of dogs we have staying with us at any one time, with four being our doggy limit! We specialise in boarding smaller dogs and always ensure everyone is up to date with their vaccinations. We do not board dogs with behavioural issues either. We follow all your dogs dietary and exercise requirements. We also offer a free meet and greet for your doggy. For further information on dog boarding please visit our Dog Boarding page and also Dog Boarding Prices page or Contact Happywoof today with your enquiry.